Content featues the 11 tracks from the original album plus 11 live bonus tracks, all on one disc. 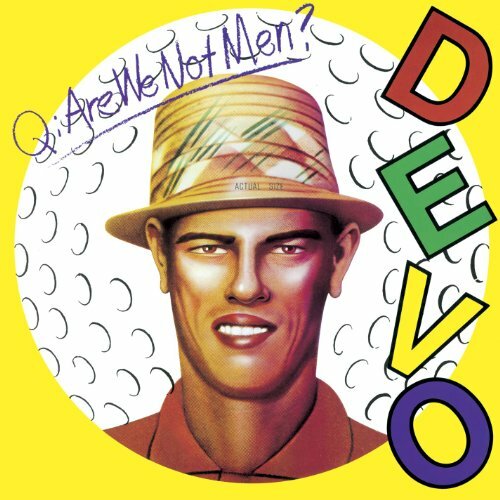 Produced by Brian Eno, Q: Are We Not Men? A: We Are Devo! was a seminal touchstone in the development of American new wave. It was one of the first pop albums to use synthesizers as an important textural element, an innovation that began to lay the groundwork for the synth-pop explosion that would follow very shortly. Q: Are We Not Men also revived the absurdist social satire of the Mothers of Invention, claiming punk rock's outsider alienation as a home for freaks and geeks. While Devo's appeal was certainly broader, their sound was tailored well enough to that sensibility that it still resonates with a rabid cult following.